Blog Banter is an idea from Hawty McBloggy where she gives a bunch of gaming-related blogs the same post title and a brief. We then all go away and write what it means to us – it sounds like a pretty cool idea, so here’s the first post of Blog Banter which is about Memorable Gaming Moments, from both past and more recent games. 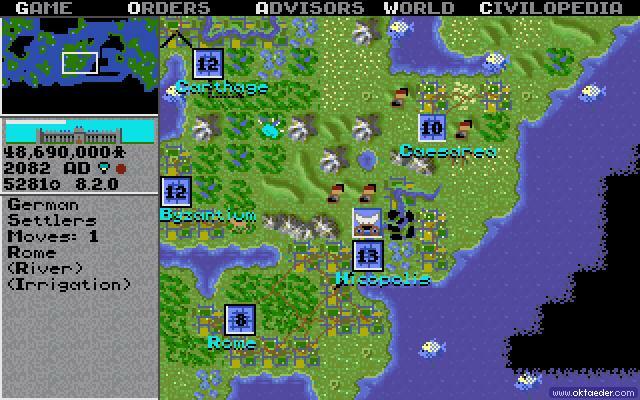 I’ve already written about various gaming moments during the course of some of my previous posts such as Speedball 2: Brutal Deluxe on Xbox Live, Ghostbusters 3 Game and Football Manager Demo, so I thought I’d approach it from a new angle this time around – from a series of games I’ve liked for around 17 years, namely Sid Meier’s classic Civilization games, where you must ‘Build an Empire to Stand the Test of Time’! 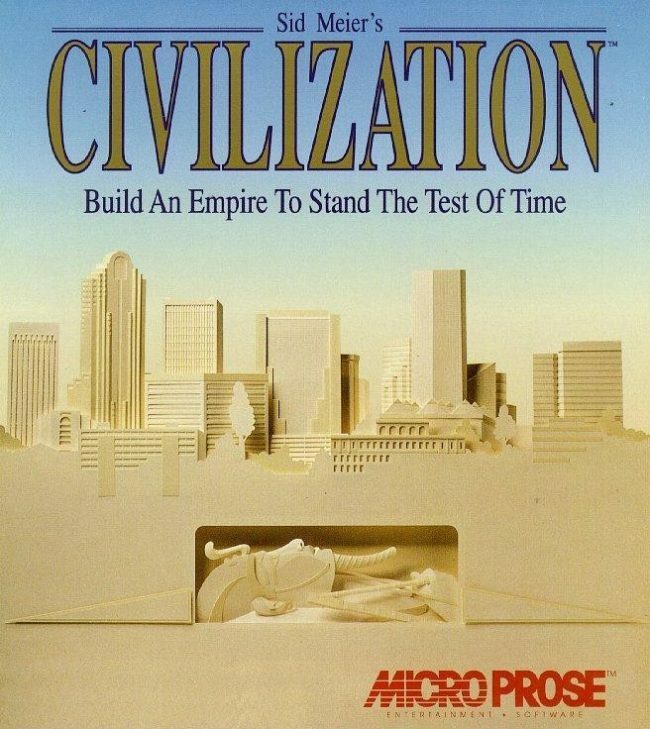 I have many fond memories of playing the first Civilization game on my trusty Commodore Amiga long into the early hours, revelling in the turn-based strategy system that it employed – it was certainly good to be able to have the time to think about your decisions, I was never a big fan of real-time strategy games. You took on the role of the leader of a small tribe, you need to survive, explore, trade, expand, wage wars and ultimately over the course of around 6000 years, take control of the planet or be the first to send a spaceship of colonists to Alpha Centauri to win the game! Civilization also meant that I learnt about history! For example, you create different military units as you progress through the game and also build special projects or ‘Wonders of the World’ and you definitely develop a familiarity for these things and even learn what they were – especially when the game came with the obligatory encyclopedia-style huge manual from Microprose – who seemed to spend as much time writing manuals as they did publishing games back then! Obviously, it employed no multiplayer system at this time, but I remember having two Amigas set up next to each other with a mate of mine and we’d start off as the same civilization and play through the game and see who ended up doing the best – now that was DIY multiplayer gaming! 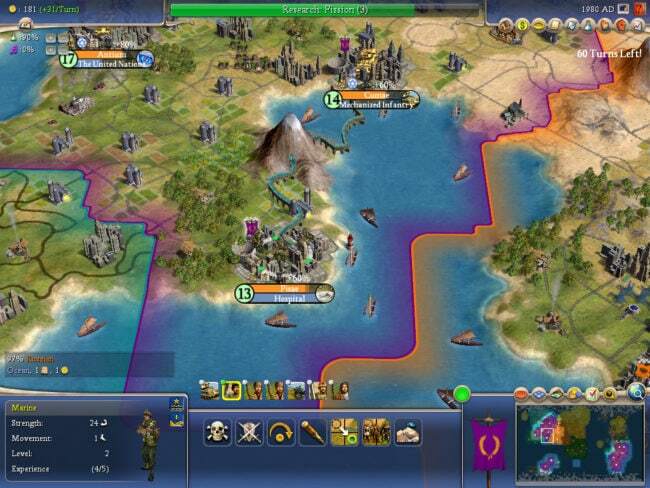 There have been numerous instalments along the way and we’re now up to Civilization 4 plus a couple of expansion packs has left us with a game which is fundamentally the same, however it’s had a few changes made along the way, lots more features have been added, the graphics brought up to date and even various multiplayer options have been added. I have to admit that because Civilization is a game that takes up huge amounts of time, I’ve never really played Civilization 4 as nearly as much as I’d like to and also not had the chance to check out the expansion packs, but fundamentally the game has the same spirit as the original. This must obviously have something to do with Sid Meier still being the man behind it – how unusual is that these days for the same person to be involved in a game series for so long? I’ve played the multiplayer version of Civilization 4 a few times though and must say it really adds to the game, however, I’d suggest against playing the ‘Play by Email’ option – it took myself and a friend about 10 hours to play what could have been played in about 1 hour! – We were really dedicated to playing some multiplayer together that week! Overall, Civilization still appeals to my turn-based strategic leanings of ‘god-games’ when it comes down to it and is ultimately has to feature in my Top 3 games ever and it could quite possibly be there at No. 1! Have you ever played any of the Civilization games? What do you think of them now? Just how much fun LAN can be!